The guest of honor, however, will not be there. With the government shut down and Congress in negotiations, Trump postponed his scheduled departure from Washington. But he will still make money. Trump will be able to collect thousands of dollars in fees for food, ballroom rental and other costs. PALM BEACH: President Donald Trump's posh Mar-a-Lago Club is set to host a high-priced gala on Saturday night intended to celebrate Trump's first year in office and raise money for his reelection campaign and the Republican National Committee. Tickets start at $100,000 per couple, Bloomberg News reported. During the 2016 election cycle, Trump's campaign spent at least $791,000 to hold events at 12 Trump-branded venues: three hotels, seven golf courses, a condo building and Mar-a-Lago, federal campaign filings show.That was on top of millions more that Trump's campaign paid his businesses for other expenses such as hotel stays, meals and rent for office space at Trump Tower. Trump got an unusually early start on fundraising events for his 2020 reelection campaign, holding a $35,000-per-plate fundraiser in June. The venue for that event: Trump International Hotel in Washington. The Republican National Committee footed the bill, paying about $167,000 to Trump's business. Federal election laws bar candidates from the "personal use" of campaign donations - a ban meant to stop candidates from buying things unrelated to their runs for office. If a purchase is a result of campaign activity, the government allows it. "The prevailing view among election lawyers is that the law isn't violated so long as the campaign committee pays fair market value for the goods and services received from Mar-a-Lago," said Paul Ryan, a campaign finance expert at the government watchdoggroup Common Cause. It remains unclear how much Mar-a-Lago will receive from the Republican National Committee for Saturday night's event. A GOP spokeswoman declined to provide any details of the event. A Trump campaign spokesman did not immediately respond to a request for comment. 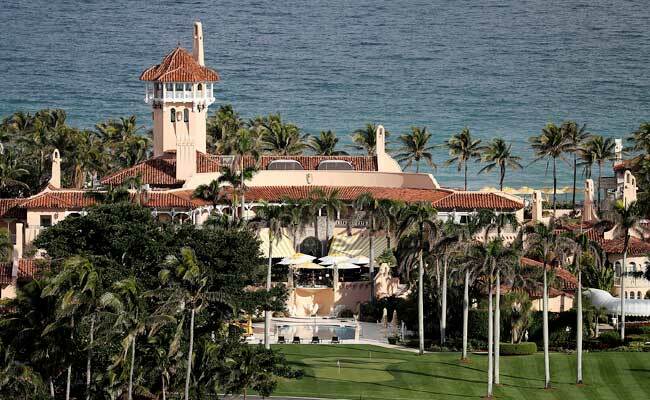 In the past, when large charities have held galas at Mar-a-Lago, they have typically paid between $100,000 and $275,000 for catering and ballroom rentals, according to annual reports those charities filed with the IRS.